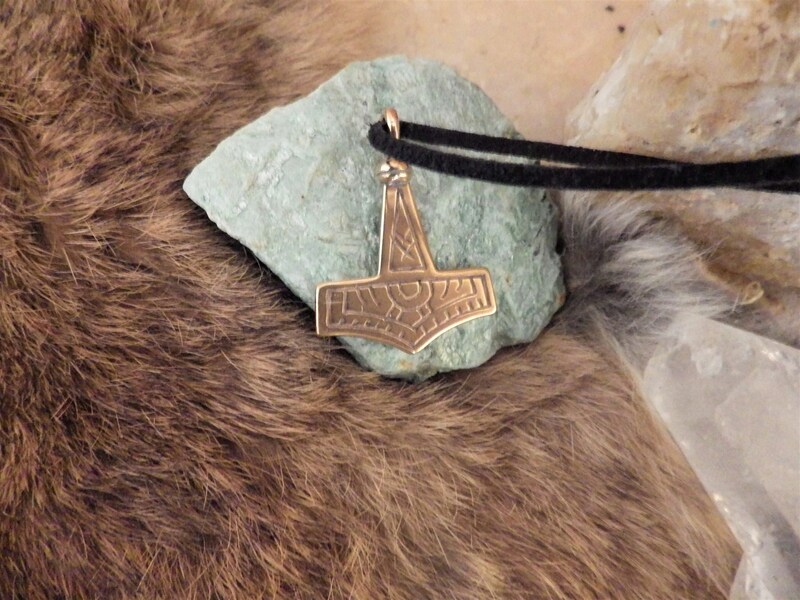 Gotland Bronze Thor's hammer. The original was found on the Swedish island of Gotland. 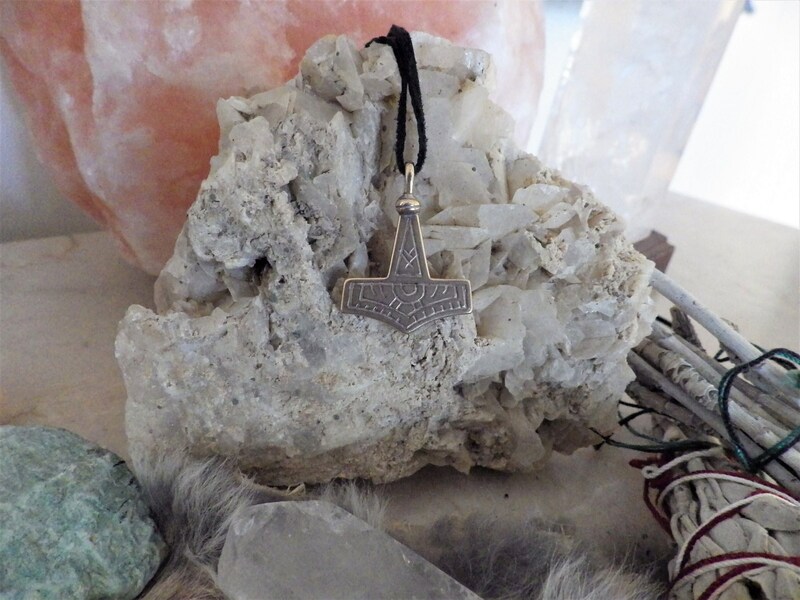 Thor's Hammer, or Mjöllnir, is the god Thor's magical weapon. The hammer is unbreakable, it always hits the target and then comes back to the owner's hand. The hammer flies through the sky in the flash of lightning. 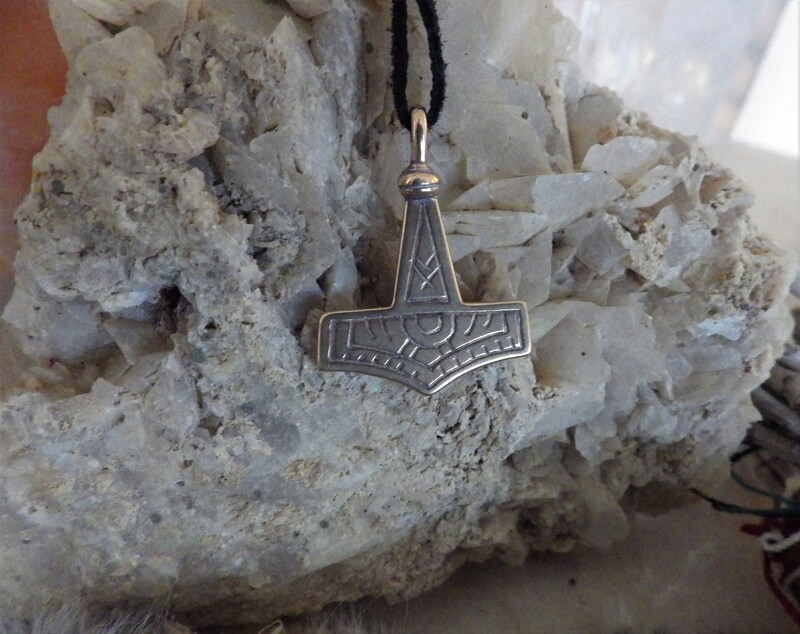 The word Mjöllnir means "grinder or crusher". 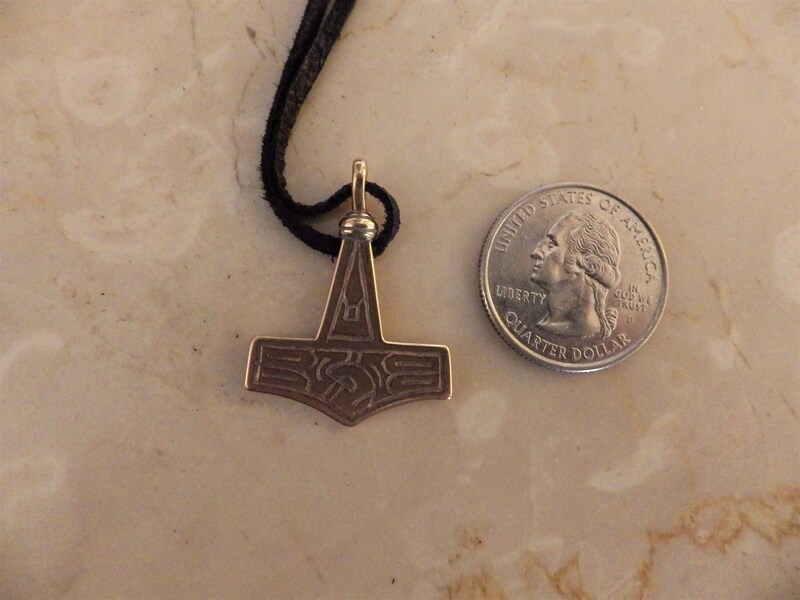 To be able to handle the hammer Thor wears a pair of iron gloves and a strength belt. 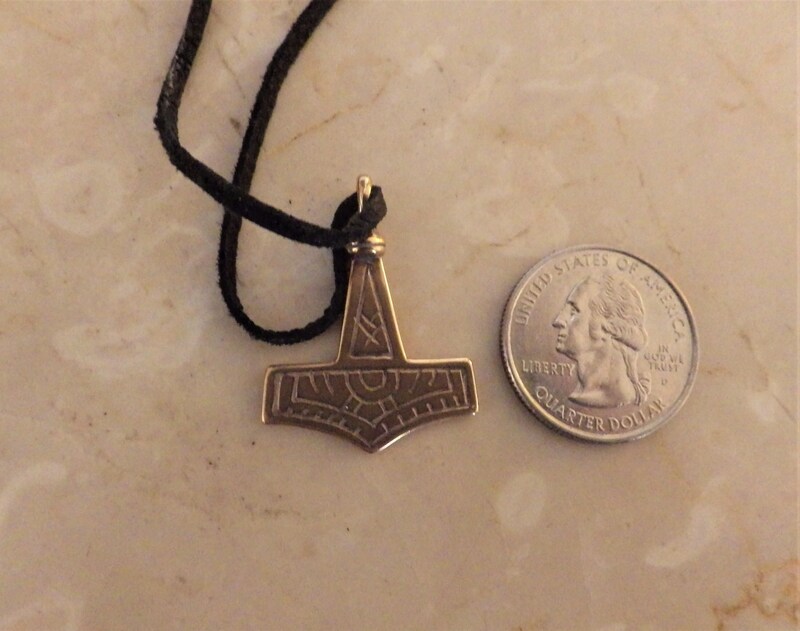 The mjöllnir amulets were worn by the Norse seamen and warriors.